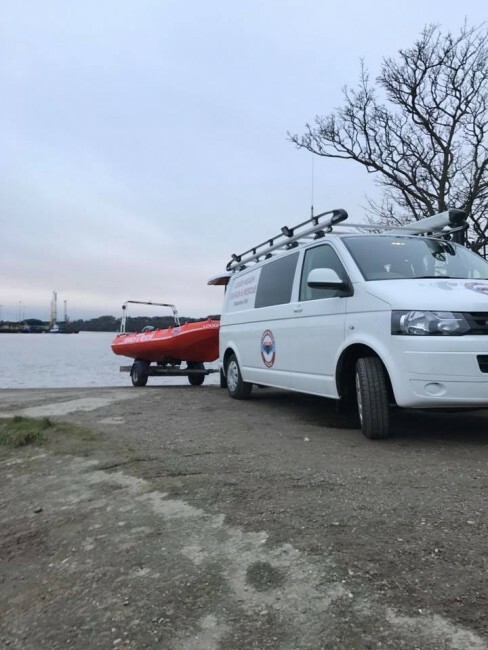 Whilst assisting today in the ongoing search for a missing person in the river Foyle, crew members from Lough Neagh Rescue along with members of Meath River Rescue proceeded to the aid of a person who entered the water. The casualty was retrieved from the river, brought to shore and emergency first aid administered until the Northern Ireland Ambulance Service arrived on scene. The casualty was then handed into the care of the Northern Ireland Ambulance Service. Other units involved on scene were: Foyle Search and Rescue and Boyne Fisherman’s Rescue.